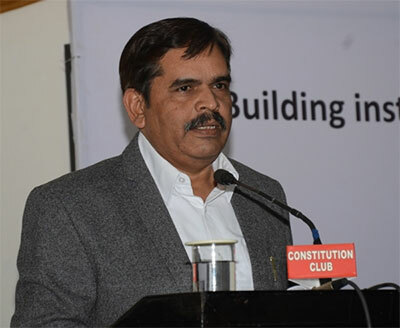 Dr Ashwani Mahajan, All India co-convenor of the Swadesh Jaagran Manch, which is aligned with the Rashtriya Swayamsevak Sangh, discusses globalisation, trhe recent high Delhi court against Monsanto, the threat posed by MNCs in retail and other economic issues with Rediff.com's Shobha Warrier. With the US talking about swadeshi and protectionism, are we going back from a globalised world to an insular one where there is going to be walls between countries? If it happens, it will be good for all nations. When I visited the US, UK and other European countries, I saw that all their factories were closed and people were unemployed. The unemployment rate of youth in European countries and the US is 16 per cent. If this is the case, who is benefiting from globalisation? If somebody is cornering 50 per cent of the wealth of the poor, can you put humanity at risk? If everybody is getting a job in China because they are able to sell, the average American, Britisher and European is at a loss. More than that, only a few companies from the US have benefited from globalisation. Similarly, in India also, it is not the average Indian who has benefited from globalisation. As per the government report, in 1990, 78 per cent of the value addition used to go to the workers in India, but today, only 41 per cent goes to the workers. 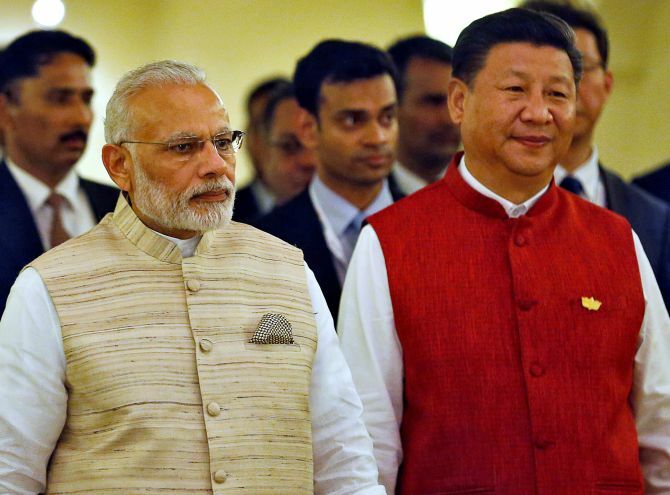 I will be happy if walls are built between nations, say between India and China! 2017 has been called the anti-China year by the Swadeshi Jaagran Manch. We are going to nooks and corners of the country to get signatures from ordinary people to make them realise the need to buy Indian goods so that our workers get jobs. When the consumer asks if I can get something at a cheaper price, why shouldn't I buy it? The answer is, the consumer is not just a consumer; he is a producer of something too. The Delhi high court recently ruled that Monsanto Technology LLC's termination of its sub-licence agreement with Nuziveedu Seeds Ltd was 'illegal and arbitrary.'. 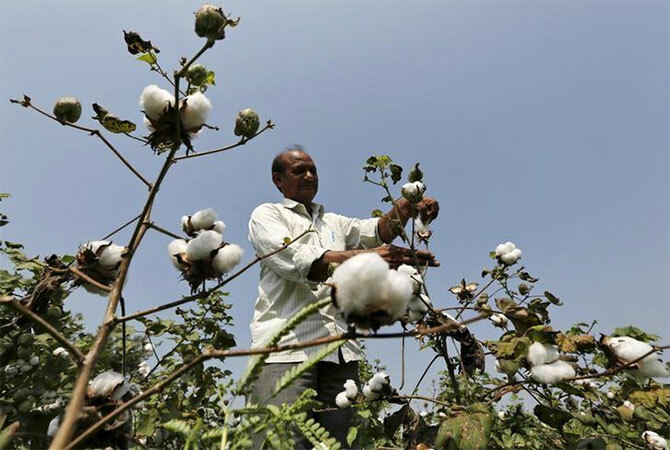 The court reinstated the agreement, but said that the royalty or trait fee payable for the use of Monsanto's patented Bt cotton technology would be as per government stipulations. It meant that the government had the right to fix the price of the seeds. Monsanto lost the case against Nuziveedu Seeds in the Delhi high court. What kind of impact will it have on the Indian seeds market? This will not bar Monsanto from selling Bt cotton seeds in India. But the court has made the point that the government's decision to fix the price is the right one and that seeds cannot be patented. It means while Monsanto enjoys the right over the trade, the government has the right to fix the price. Monsanto has been exploiting Indian farmers by creating a monopoly on Bt cotton seeds in India. 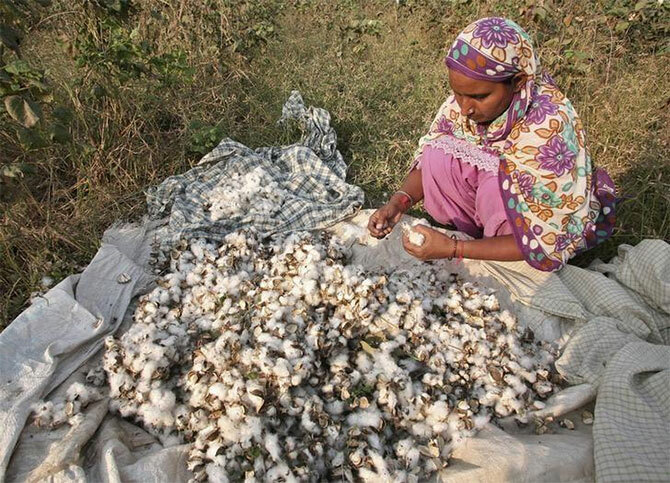 In the process, they have collected nearly Rs 7,000 crore (Rs 70 billion) from poor cotton farmers for a trait which they themselves offered for a onetime payment of only Rs 18 crore (Rs 180 million) to the Indian government. The failure of Monsanto's varieties in India itself is an indicator that the local germplasm is more important than the Bt trait brought by Monsanto for enhancement of cotton yields. Through false propaganda they have exploited our farmers for about 15 years. Does that mean Monsanto's monopoly will end? Only to some extent. They cannot bar others from using it, as the court verdict says. Anybody can make use of this trait after giving them a fair value. The court has upheld the government's action of fixing the price. Is this a landmark judgment? Over the years, the company has misled the industry and the farmers that they enjoyed the right over the trait and that they could sell at a price they wished. Then the government intervened and the intervention has been upheld by the court. So, now the government can further reduce the price and Monsanto will have no say in it. Now that the government has the right to fix the price, do you think multinational companies will lose interest in the Indian market? We are not against technology, but at the same time, our farmers should not be subjected to this kind of situation. Why do you give agricultural research and development of seeds to the private sector, that too to multinationals? Why can't you do it here? The government should spend more money on agricultural research so that our farmers benefit. I was told that the total cost of production of Bt cotton seed is hardly Rs 50 per packet, but they charge Rs 450 and more. You accused the bureaucrats and the government of not implementing the the law of the land and protecting the interests of the farmers. What do you mean by this? If you see the chain of events in the past 15 years from the time Bt cotton has been introduced, they were allowed to exploit farmers. The seed that was sold at around Rs 70 in China was sold in India for Rs 1,200. Our cotton farmers are already in distress and on top of that, Monsanto was charging very high for the seeds, but the government didn't do its duty. I would say they were serving the interests of the multinational companies. It was this government that decided to control the price which naturally was not liked by Monsanto. They went to court against the government's decision, but the court has now told them that it was the government's right to control the price. As per the Indian Patent Act, seeds are not patentable. According to the Act, farmers have the right to use, exchange and sell seeds. This is precisely why we at the Swadeshi Jaagran Manch oppose GM (Genetically Modified) seeds and the monopoly multinational companies have in the seed sector. They want everything to be monopolised. From when do we have this Act? This Act was passed after the WTO (World Trade Organisation) regulations came. Before WTO, there was no such protection. After that, it was made mandatory for India to change its IPR (Intellectual Property Rights) regime. Under this, the Indian Patent Act 1970 was amended, and it was clearly written that seeds or any living organism would not be patentable and it would be covered under the Plant Varieties and Farmers Rights Act. We (the Swadeshi Jagran Manch) played a big role in changing the laws. I presented the case to the chairman of the then committee looking after the Act and the name of the Act was changed from the Plants and Breeders Rights Act to the Plant Varieties and Farmers Rights Act. All 12 amendments were mooted by the SJM and in 2004, an ordinance was issued. I would say Bt cotton seed is a seed of destruction. We have always said that the right over the seeds should lie with the farmers as seeds are their lifeline. It also affects the food security of a country. If you give the ownership of seeds to multinational companies, we are actually handing over our food security to them. Is this the case in other countries also? It is misinformation spread by these companies that GM seeds are used all over the world. No, European countries do not allow these companies to bring in GM. You see GM is mainly in five countries: The US, Canada, Australia, Japan and India. In general, most parts of the world are against GM seeds. Yes, that is what they want to do. Only because of our opposition they have not been able to do so. They say that GM mustard is developed by a public sector undertaking. When we opposed GM mustard, these MNCs were issuing statements against us saying we were misleading the people. In fact, under the guise of a public sector undertaking, the MNCs are trying to operate. We proved that GM mustard had two genes patented by Bayer, an MNC company. Basically, they are trying to monopolise the Indian seeds market and the food security of our country. If they are allowed to have their way, our food security will be in danger. We don't have any cotton seeds left now. Similarly, we will not have any mustard seeds and other seeds too soon. Another objection the Swadeshi Jaagran Manch has is the entry of MNCs in the food processing industry. For more than 20 years, we have been hearing about the need to invest in food processing units as fruits and vegetables go waste. As this is the case, if some companies were to invest in food processing units, what is the problem? I will tell you it is a misnomer that in India fruits and vegetables go waste. I would say every single vegetable is used by people in India. When you go to a sabzi mandi in a village, you will see the best vegetables are sold in the shops during the day, but when you go at night, you will see poor people buying the not so fresh vegetables. So, every gram of vegetable is consumed by the people in India. What the MNCs want is under the guise of food processing, they want to push FDI (foreign direct investment) in retail and marketing of agricultural produce. I have read a report by the FAO (Food and Agricultural Organisation that the major reason for wastage of fruits and vegetables is the multinational corporation of organised retailers in the US and Europe. They buy fruits and vegetables from farmers and discard most of the produce under some pretext or the other. This is the way a major part of the produce is wasted, the FAO report says. In European countries, wastage is around 220 kg per annum whereas in Asian countries like India, it is hardly 125 kg. You know what will happen after you have FDI in retail? Manufacturing will go to China, ownership to America while our youth will become sales girls and sales boys.